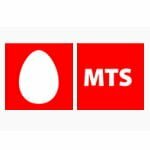 MTS India, the mobile brand of Sistema Shyam Teleservices Ltd has extended its postpaid services of its high speed MTS MBlaze to 5 circles. Now people of Delhi, Haryana, Tamilnadu, Kerala, Maharastra, Karnataka, Rajasthan and Mumbai can avail postpaid services of MTS MBlaze. Now keep surfing without thinking about data limit, MTS is to charge just 40p/MB extra usage. MTS already has its prepaid MBlaze services with lifetime validity in all circles except in Andra Pradesh where it is launched its CDMA mobile services. MTS MBlaze is EVDO based high speed wireless internet services offering download speed upto 3.1Mbps and upload speed upto 1.8Mbps. MBlaze modems come with two price tags at Rs 2299 and Rs 1999. MTS also launched MTS TV to enjoy viewing TV channels on the move. MTS also offers free browsing on selected websites like Yahoo India, Wikipedia, Make My Trip, CricInfo, IndiaTimes Shopping. # Service tax extra. Unutilised data limit will get lapsed at end of validity period. For more details and assistance call MBlaze Customer care 955 (toll free from MTS connection) or call following circle wise no. from any phone. These helplines are also toll free from MTS connection.